We’re talking to people who perform or work at the Edinburgh Festival each year to get their perspectives on what performing or producing at the world’s biggest cultural event involves. This includes the people who run the numerous venues that pop up each year at the Edinburgh Fringe – this time Ed Bartlam and Charlie Wood from Underbelly. From their original space in the vaults under the library on George IV Bridge, Underbelly has expanded its presence significantly over the years, initially around Edinburgh University’s central campus, and then onto the Meadows. Meanwhile, beyond Edinburgh, the Underbelly company now runs events and presents shows all over the world. But our focus is still Underbelly’s Edinburgh Festival operation, which this year presents 192 shows a day in 22 performance spaces. We spoke to Ed and Charlie to find out more about them and their venues. 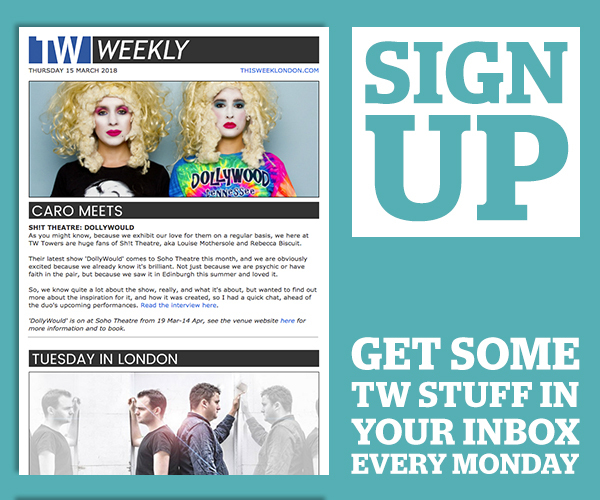 TW: Let’s go back to the start, tell us when and why you set up Underbelly. EB+CW: We set up Underbelly in 2000 in our Cowgate venue. We had three shows and Ed was actually in one of them! We ran two spaces that we built out of bookshelves from the library. It’s amazing to think that in eighteen years we have grown to have 22 venues over four sites, including our return to the newly renovated McEwan Hall this Fringe, with 192 shows a day. But our heart is still in Cowgate, which we set up because we wanted to give it a go and have fun. That’s still our mantra. TW: As you say, the operation has grown hugely over the years. How do you go about finding and negotiating new spaces to turn into venues? EB+CW: Dedication! There’s a lot of work in finding and negotiating new spaces. When we set up Circus Hub on the Meadows we were in conversation with the council, local community groups and residents for many months before being given permission to build that complex. So, it’s a mix of perseverance, relationships, hard work and determination. TW: You’ve had to deal with Edinburgh University rebuilding half of its central campus in recent years. How has this impacted on the operation? EB+CW: Yes, it’s been a long wait but worth it! The university has always been very good at keeping us informed, so we were able to plan. And the renovations are incredible, not just for the Fringe but for Edinburgh and the university. The main room in McEwan Hall is, in our humble opinion, the best space in the city and we’ve managed to add three smaller venues in the basement as well as rebuilding the Dairy Room at the back. EB+CW: It goes from the excitement of programming, and working with the artists to find the right shows to go in the right spaces, to working with stakeholders and landlords, to overseeing the significant logistical operation – not least 470 staff. We have a terrific permanent team who work on it year round and make it all happen. Like every job on the Fringe, it takes a lot of energy and stamina, but it’s fantastic. TW: How do you select the shows that perform at your venues? EB+CW: Our programme is very much curated and we have a team of four programmers who see as much as possible and develop and sustain relationships with artists and companies. Some artists are returning to us and have for years. They’re like family. Others are new finds at the start of their career. This year we set up Untapped with the New Diorama venue in London and this new award has enabled three pieces of incredible new writing to come and be part of our programme this August. TW: You mentioned the 470 members of staff! How do you recruit them? EB+CW: We’re incredibly proud of them and we get great feedback from our audiences about their professionalism. Recruiting them is a massive task which the various departments undertake. Of course, all are paid employees at enhanced national living wage or more, and we have no volunteers, no zero hour contracts; training is paid and they get to keep all their tips. EB+CW: Costs. Logistics. Maintaining energy. 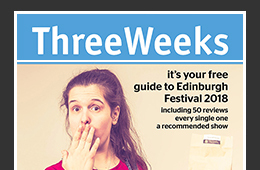 TW: How has the Edinburgh Fringe evolved since you first set up Underbelly? EB+CW: Well it’s certainly got larger! There are more countries investing in hubs at the Fringe, which is terrific for broadening the range of companies performing here. And the festival now has a dedicated venue for circus! One of the biggest changes we’ve noticed is how much the city continues to embrace the Festival. It has its challenges but we think the city largely agrees that the benefits outweigh the downsides. TW: What would your tips be for first time Fringe performers from a logistical perspective? EB+CW: Be honest about your show and what it will require of you and the venue. Don’t assume things and ask questions! We have a great team who will guide you through the experience. TW: What would your tips be for first time Fringe performers from a marketing perspective? EB+CW: Speak to people who have done it. Speak to our programming team and marketing team who are there to help you. Get the lay of the land, make a plan and stick to it. Make sure your promo visual is distinctive and strong and test it off friends and strangers. And get your elevator pitch honed. TW: What advice would you give to someone thinking about setting up a Fringe venue? EB+CW: Be prepared for it not being an overnight success and be prepared to lose money. Do your homework on the risks and the costs. Think about the location, what your programme will be and who your potential audience is. Are you in the best place for where all will align and, most importantly, how are you going to make yourself stand out? And only do it because you want to have fun. That’s the most likely result. TW: Underbelly now has operations all year round all over the world, tell us a bit about what you have got going on beyond the Festival. EB+CW: In Edinburgh, we are now producing Edinburgh’s Hogmanay. Our first time was at the turn of this year and it was both an immense privilege and massive undertaking. We are working with Martin Green – who worked on both the London 2012 ceremonies and Hull City Of Culture – to continue to develop the Street Party and looking at other ways of involving many different people in the three day festival. We also continue to produce Edinburgh’s Christmas which has gone from strength to strength over the last five years. 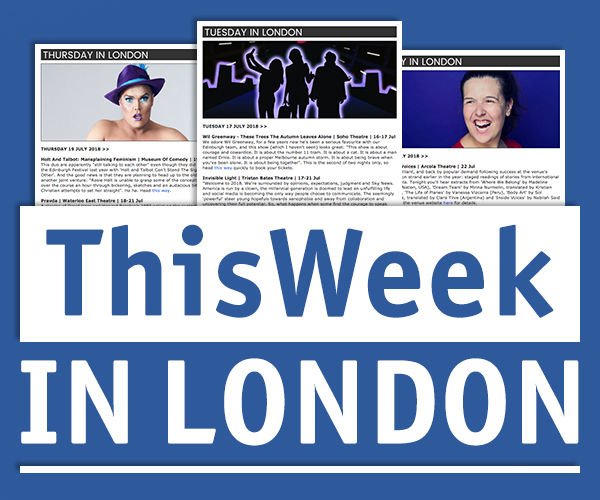 And in London we have the Underbelly Festival on the Southbank, Christmas in Leicester Square, and West End Live in Trafalgar Square on behalf of the Society of London Theatre and Westminster City Council. We also have Underbelly Productions who produce and promote live theatre in the UK and on tour internationally. Credits to date include a revival of Clarke Peters’ ‘Five Guys Named Moe’ – in association with Cameron Mackintosh and directed by Clarke Peters’ himself – and performed in a specially constructed theatre at Marble Arch.